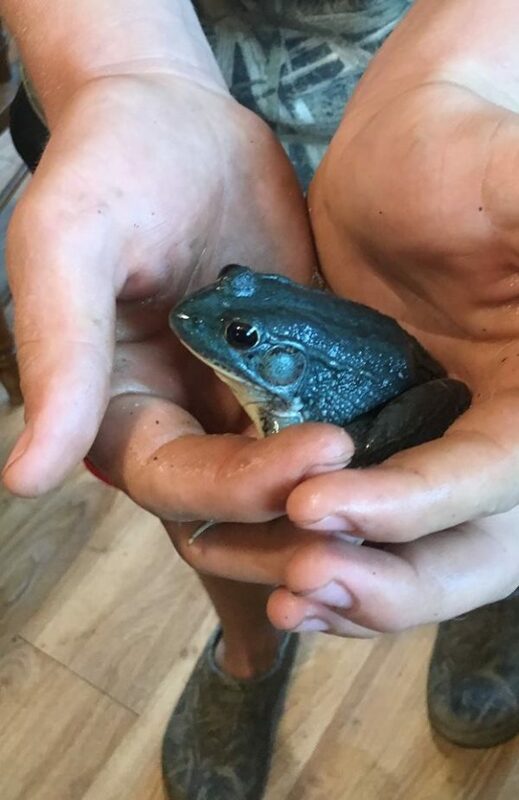 Konor Dyer, 14, of Strong found this rare blue frog last week while looking for an entry for a frog jumping contest on Saturday organized by the Local Bull, a convenience store in Phillips. Konor Dyer’s frog wasn’t the fastest to compete in a jumping contest over the weekend, but it was arguably the rarest. 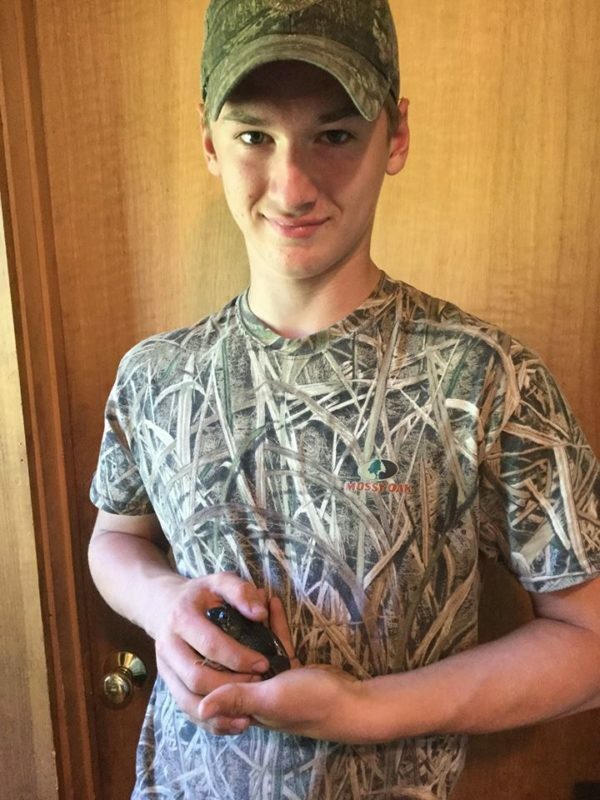 Dyer, 14, of Strong had been searching for a frog to enter in a contest Saturday held by the Local Bull, a convenience store in Phillips, when he found a blue-colored green frog in his grandparents’ pigpen in Phillips late last week. But the teenager learned the blue amphibian was a rare find, when he and his grandmother, DeEtte Hinkley, showed it to the Maine Department of Inland Fisheries and Wildlife. “Green frogs, as you may know, are fairly common in Maine and east of the Mississippi, but as you may have guessed from the name, they usually are green, unlike this one,” the department said in a Facebook post about the teen’s discovery. “They get that green color from a combination of yellow and blue pigments in their skin, but this green frog is lacking yellow pigment, and that is why he is mostly blue,” the post read. The department typically receives only one blue frog sighting report a year. But this year, it’s received three such reports. “We don’t think it is due to the upcoming eclipse, but really have no better explanation as to why this year’s count has tripled,” it said on Thursday. Dyer’s frog placed fifth in Saturday’s jumpoff, but it did take the prize for the most unusual, he said. Dyer, who will start ninth grade at Mt. Abram High School at the end of this month, released the frog into the frog pond behind his grandparents’ home after the contest. But the frog did make its way back to the pond in the end. Dyer said he isn’t sure if he’ll see it again.